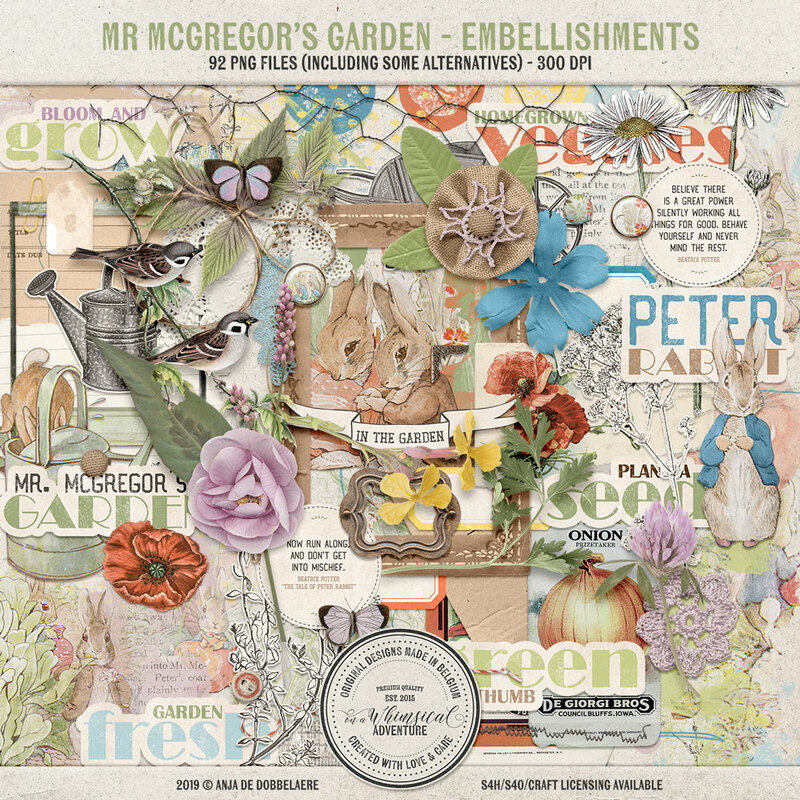 Mr McGregors Garden Embellishments - 92 digital embellishments (including some alternatives), saved as individual PNG files: 1 arrow, 5 artsy bits, 1 banner (with and without text), 1 bookplate, 2 brads, 2 butterflies, 3 buttons, 1 chickenwire, 2 crochet pieces, 1 doiley, 1 fastener (in two versions), 8 flowers, 3 pieces of foliage, 2 frames (including a mask for the polaroid frame), 4 labels (including 2 alternative versions), 2 labels with a quote, 1 library card, 1 overlay, 5 painted accents, 1 paper clip, 2 pieces of paper, 3 Peter Rabbit images, 1 photo corner, 2 scribbles, 2 seed packets, 1 vintage bird couple on a branch, 7 stamps, 2 wildflower stickers, 2 garden tool stickers, 2 stitches with holes, 2 strings, 2 transfers, 1 twine, 7 word art stickers. 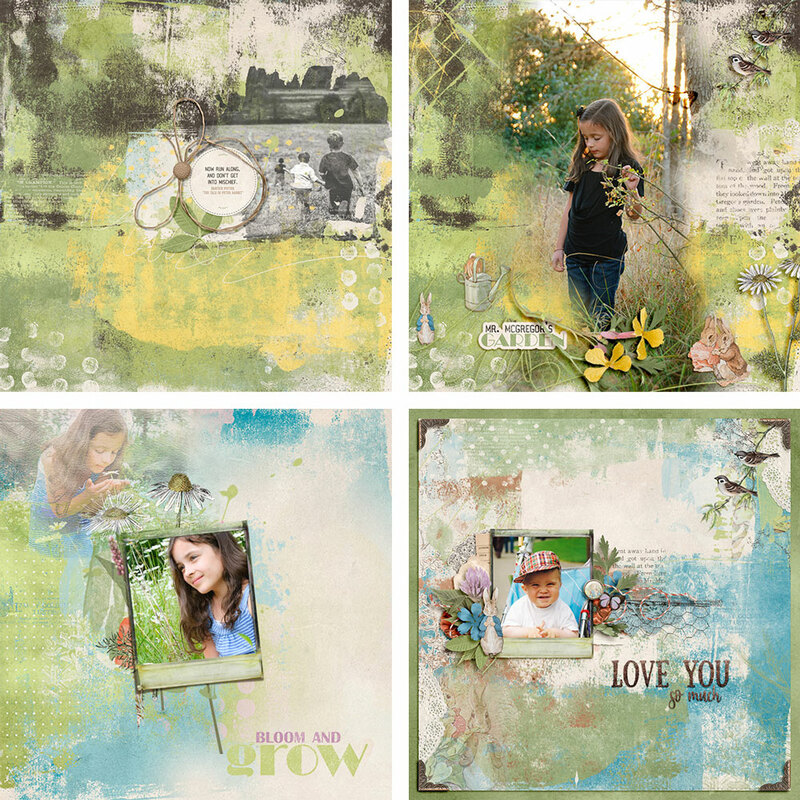 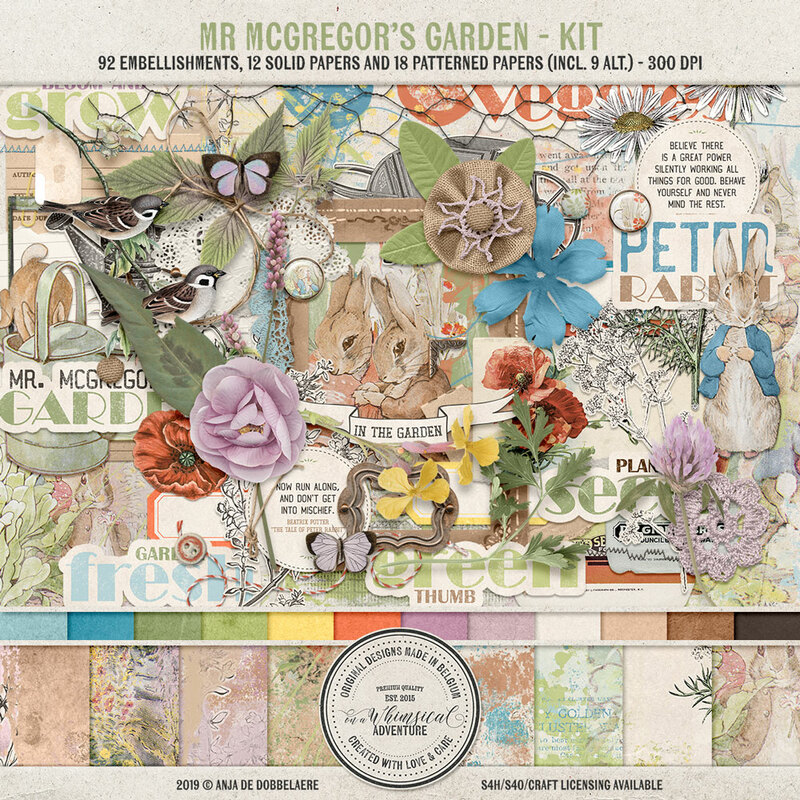 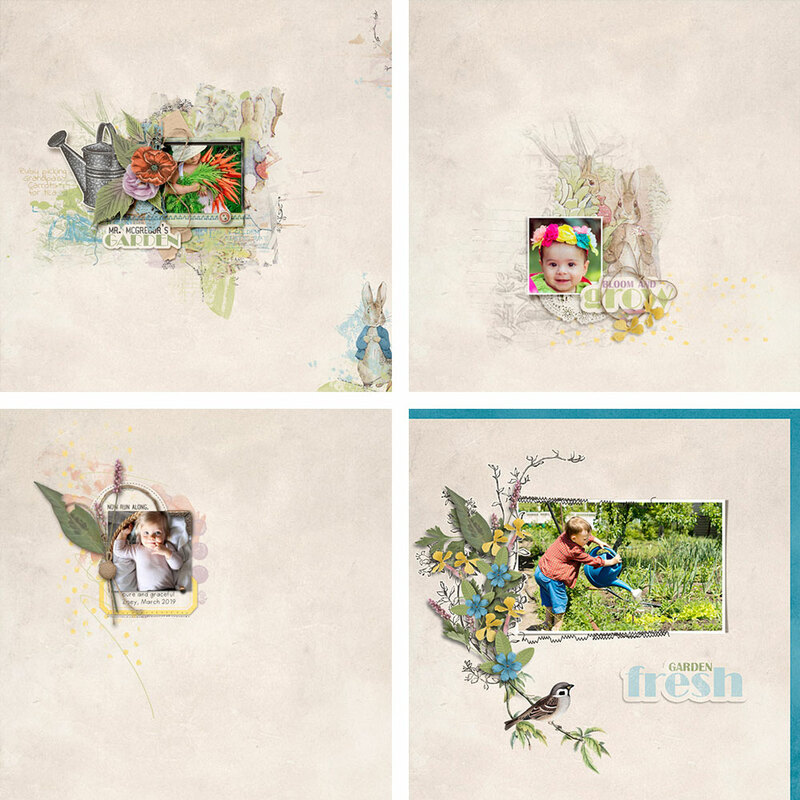 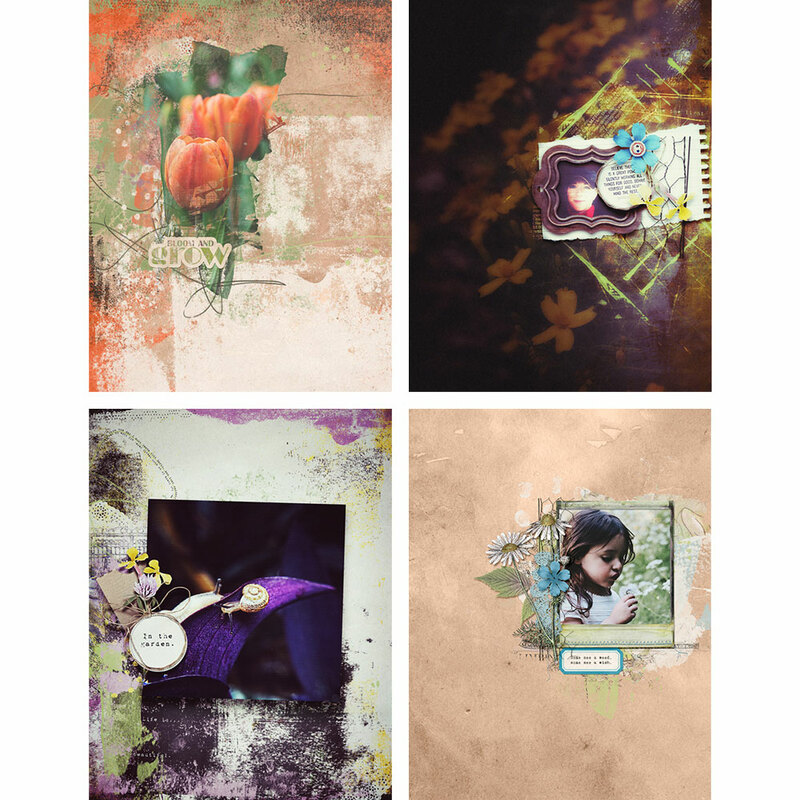 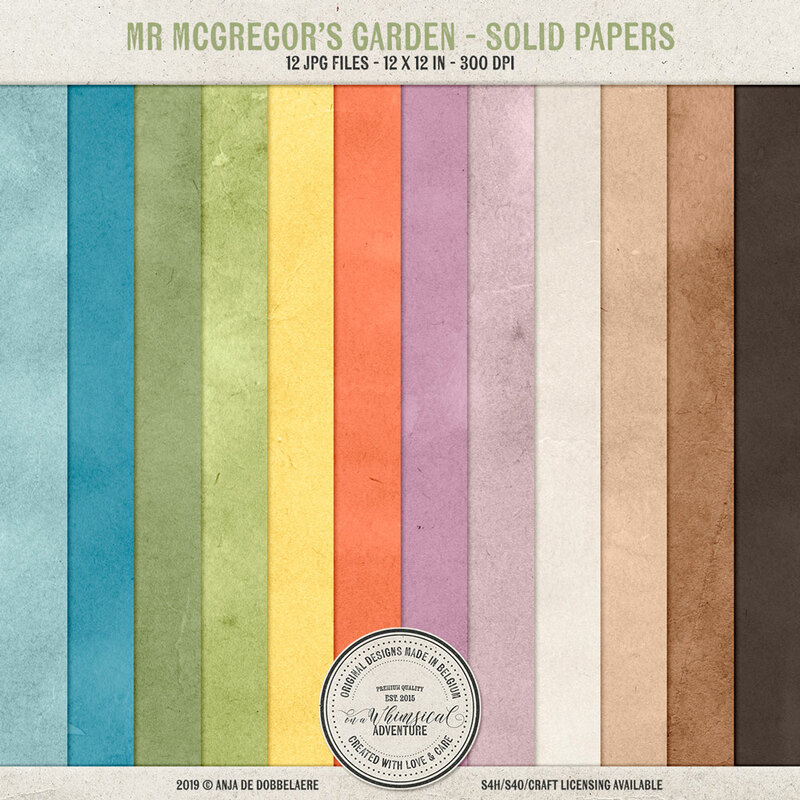 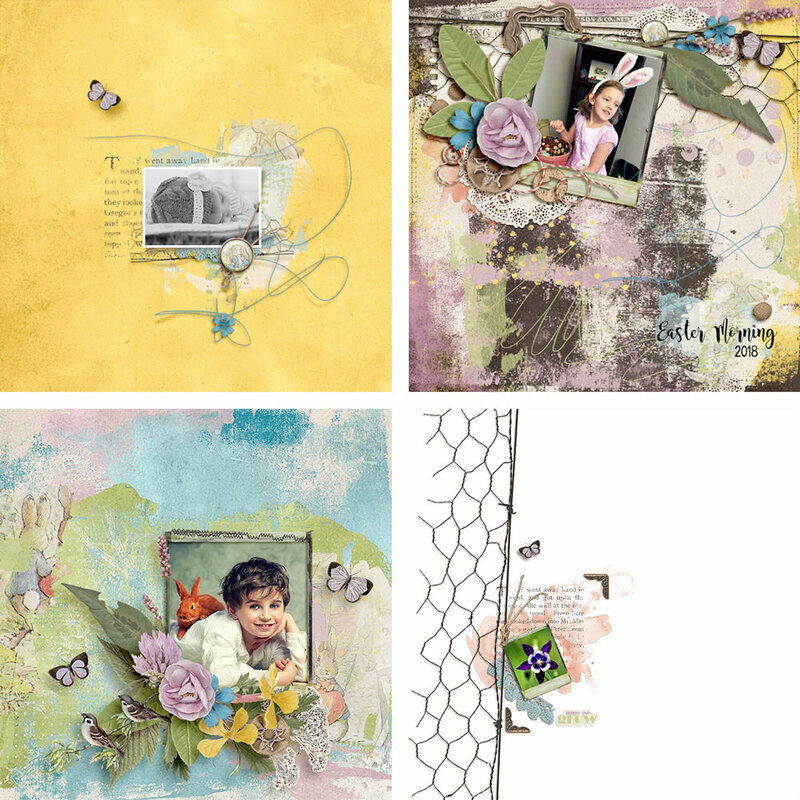 Mr McGregors Garden Solid Papers - 12 solid papers, saved as individual JPG files, 12 x 12 in. 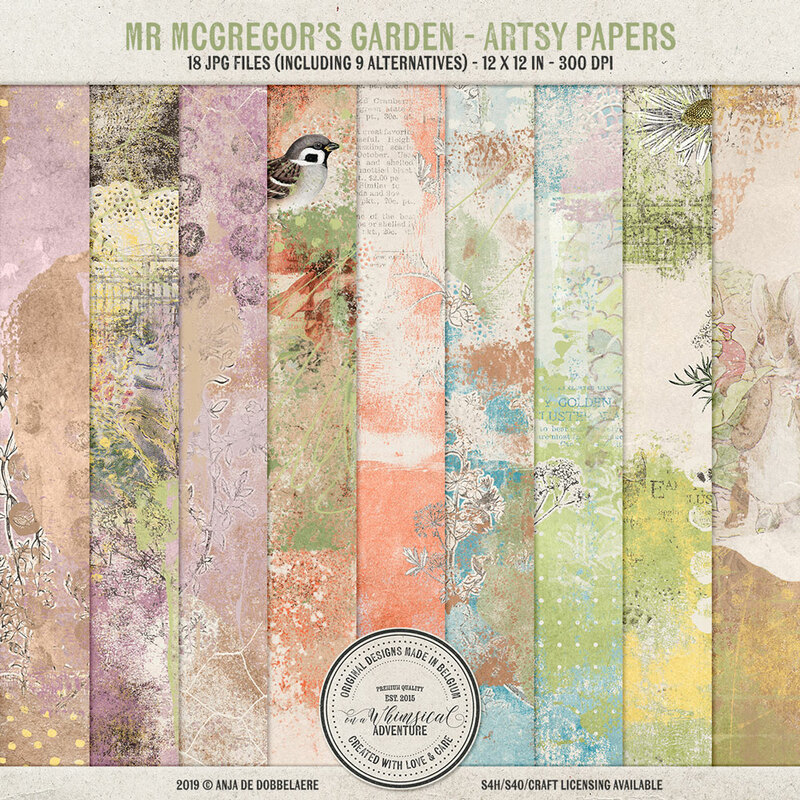 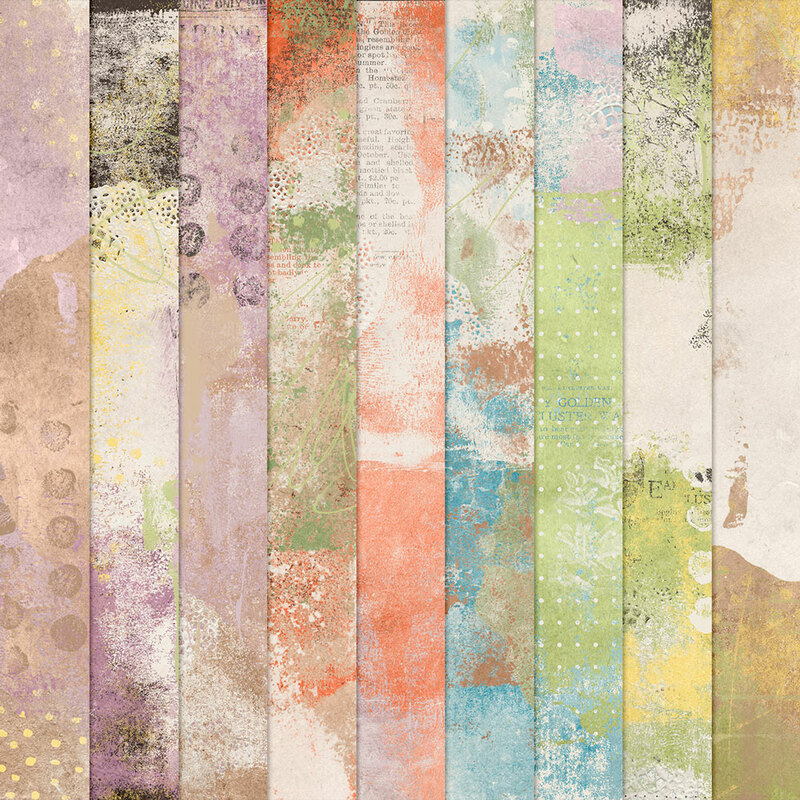 Mr McGregors Garden Artsy Papers - A total of 18 patterned papers, saved as individual JPG files, 12 x 12 in, INCLUDING 9 alternative papers.